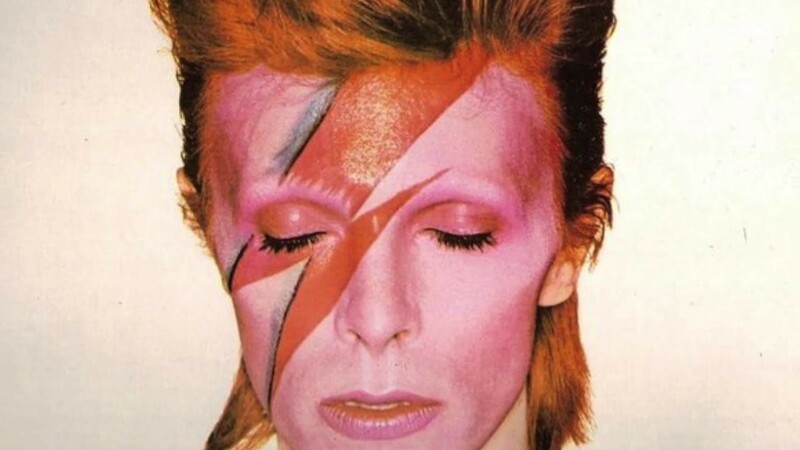 David Bowie is remembered Saturday at BowieFest. Classic rock: It seems Spokane is never going to get the members of Crosby, Stills, Nash and Young together at the same time — especially after a recent public dispute between Nash and Crosby. Last year, Neil Young and Graham Nash came through the area; this month, it’s David Crosby’s turn to woo the classic rock fans among us. Crosby’s music, from his time with the Byrds and CSN and even his solo stuff, is definitely more out there than that of his cohorts, but that’s what makes him so endearing. Expect his upcoming solo acoustic show at the Bing tonight to include a steady stream of the hits, with a dash of tunes from his 2014 album Croz, his first studio release in more than 20 years. Show starts at 8 pm and is $48. Hippie feel-good music: The Reserve, yes, a new downtown music and arts club, plays host to the Tone Collaborative tonight. Other rockin' and often improvisational acts, B Radicals and Marco Polo Collective open the free show. Meanwhile, the Red Room Lounge celebrates its 10th anniversary tonight with funk masters TAUK and local act L.O.S. hitting up its stage. Cost for that is $12 at the door. Loud rock ‘n’ roll: Marijuana Killed MarC and East Sherman take out the Baby Bar tonight with an early show (8 pm) while Dept of Martyrs and Dead See Squirrels do the late show thing (meaning 10 pm and 21+ only). Just a couple blocks down at the Observatory, local rock acts Tyler Aker, the Smokes and Bandit Train play their little hearts out. The show has a $5 suggested donation and starts at 9 pm. David Bowie is gone, but his legend lives on throughout the world, including in Spokane this weekend with BowieFest 2016 at Chateau Rive Saturday. The local tribute to the never-compromising rock star includes music from Matthew Hughes, Stardust, and Jan Francisco (featuring members of the Camaros) as well as DJ Pauliday. Everyone is invited to dress up as their favorite-era Bowie, and there will be a costume contest. Along with a silent auction, which includes original Bowie-inspired art, expect a vinyl and art sale as well as coffee, tacos and a no-host bar. Proceeds from the event go to Boys & Girls Club of Spokane County. Cost is $20 and starts at 6 pm. The Coeur d’Alene Blues Festival runs all weekend, but Saturday’s blues-filled showcase features many acts (local and otherwise) you’ll want to get out and support. The CdA Resort Convention Center show starts at 4 pm and includes Sara Brown Band, Tuck Foster & The Mossrites, Dana Fuchs, Tinsley Ellis along with local blues bros the Stepbrothers. This week’s Music story subject Jennifer Kemple sits in on their set. Cost is $35. So the Lyle Lovett and Robert Earl Keen show is sold out but it needs to be mentioned anyway. These two country crooners are former college neighbors who included a song they wrote together on each of their debut albums 30 years ago. The show starts at 7:30 pm for those old-school country fans lucky enough to have them.